[toc]Do you wish to know how head lice can be prevented during an epidemic? No one wants to have creepy crawlies all over their head. Even the thought of head lice is enough to scare people off, but they aren’t as threatening as people make them. 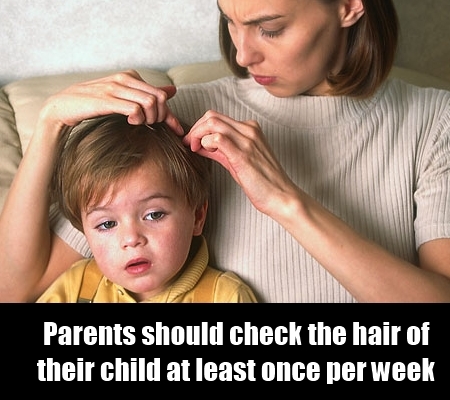 Parents should check the hair of their child at least once per week because they know what they are looking for. Therefore, they have to be persistent and meticulous if they want to avoid head lice. This is not a fun job, but it is better than having critters damaging your hair. Parents can also check their child’s head in the morning every day when they are making their hair. Checking behind the ears and the back of the head is necessary because that’s where these little things tend to hide. Anything that’s out of the norm should be checked immediately. Teach your kids that some items shouldn’t be shared at any cost. It is essential for a parent to be vigilant about particular situations such as when objects are being shared because it is a common occurrence for young children in school to be affected by the condition of head lice. Children are usually encouraged to share some things with their fellows, but there are others that shouldn’t be shared at all. 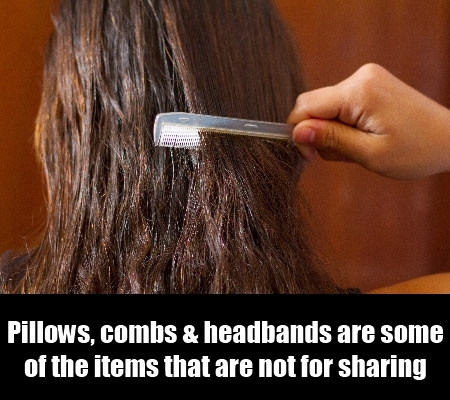 Pillows, hats, combs and headbands are some of the items that are not for sharing. This also includes any item that can lead to head-to-head contact between a potential carrier and a carrier. 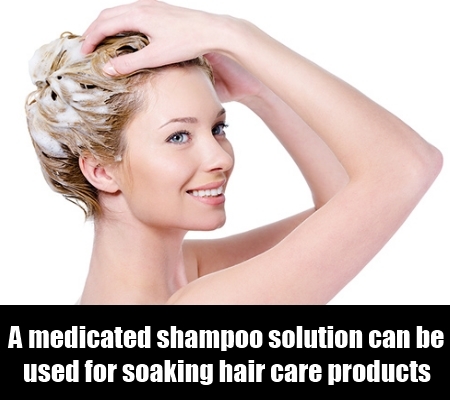 A medicated shampoo solution, isopropyl alcohol or warm water can be used for soaking hair care products. In order to kill any lice, it is vital that hair care products like barrettes, combs, brushes, headbands and hair ties etc. are soaked regularly. It is better to be sure instead of regretting if you think that an item might be infected. Rugs, beddings and towels are the most common household items that can become infested with lice and their eggs and they should be checked regularly. Convey the importance of not sharing items that are connected to the ears or head to your children. 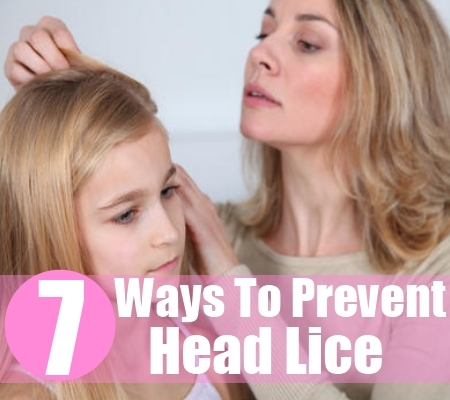 Discuss the problem of lice with your children and instruct them not to touch heads with others until the problem has been contained by the school. 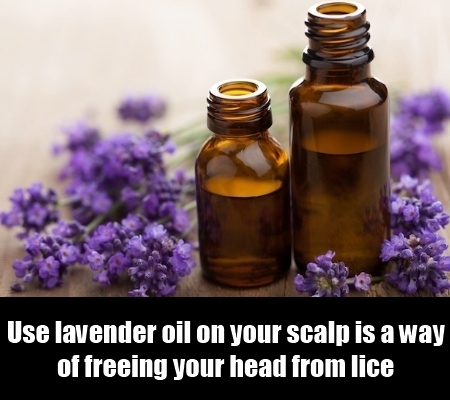 Using lavender or tea tree oil on your scalp is another effective way of freeing your head from these creatures. Because it is natural, it is one of the most popular ways of eliminating head lice. These oils are able to keep the lice away effectively because they play the role of repellants. However, just because they are naturally occurred, it doesn’t mean that caution doesn’t have to be exercised when using these products. Being careful is essential and not more than a few drops should be used daily. Lice can be deterred with coconut oil as well. Some essential oils also have a strong smell such as lavender oil, eucalyptus oil, menthol oil and rosemary oil and lice dislike this smell. Some lice repellant hair products can also be found in the market. Unless people are certain they have nice, lice killing shampoo shouldn’t be used because it’s not good for the hair. The brand name of this shampoo is Lice MD. Lice outbreaks can be controlled with this new pesticide-free effective and breakthrough treatment, which can restore the balance of the household and give parents peace of mind. This particular treatment for head lice has been proven clinically and been tested by pediatricians and has been discovered to eliminate eggs, nits and lice in a few simple steps. Dimethicone is the primary ingredient of this shampoo and it has a well-known safety profile. This is an effective and safe synthetic lubricant that doesn’t have an odor and is also hypoallergenic and non-irritating. This particular ingredient is often combined with piperonyl butoxide and Triple X, RID, R&C, Pronto and A-200 are some of the brand names that are used. 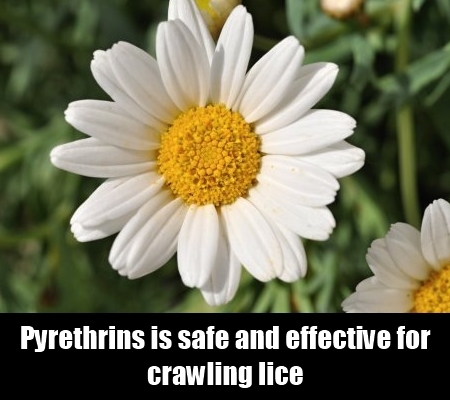 The chrysanthemum flower comprises of natural extracts that are called pyrethrins. Unhatched nits aren’t harmed by this extract, but it is safe and effective for crawling lice. In order to eradicate newly hatched lice as well, the treatment should be performed again in seven to ten days. It is common for treatment failures to occur.